Please join us Tuesday, July 10, at 7:00 pm at Patrick Henry School to review the Phase 3 plans, including extensive drawings, for the Columbia Pike Initiative. Tim Lynch of Columbia Pike Revitalization Organization (CPRO) and County staff will meet with AHCA and our neighbors from Columbia Heights, Douglas Park, and Penrose. Phase 3 is the last step before consideration of the Master Plan by County commissions and the County Board this fall. By-laws amendment proposed by Wyatt Weber: "Before the association moves forward and begins to set forth a process that could result in said changes (this includes studies), that at least 51% of the block or blocks involved sign off in favor first"
On Tuesday, June 26, around 11:00 pm, a woman walking on South 2nd Street near TJ was attacked from behind, pushed to the ground, and had her purse ripped from her arm. Her knees were bloodied from the fall, and she was shaken up and ran down Irving Street screaming for help. Neighbors poured out of their homes to see what the problem was and if they could help. Literally 20 people were making calls on cell phones and helping her with the police. The victim was not a native English speaker and, for good reason, she was upset. She described her attacker as a young black male, short, thin, and dressed in a tank top and shorts. He ran towards Fillmore Street after the attack. Police emergency vehicles and K9 units responded quickly to the scene. I hate that this could happen in our neighborhood, but I was pleased with the response from our neighbors. Arlington Police assigned the case to Detective Viet Nguyen (703-228-7402). No arrest has yet been made. On Sunday, June 3, in the pre-dawn hours, someone spray-painted gang graffiti on two cars and a restaurant in our neighborhood and elsewhere in Arlington as well. Police have arrested suspects in this case. On Wednesday, May 31, at about 4:30 p.m., a woman was robbed at gunpoint in the parking lot of the Arlington Career Center. The assailant stole her purse and fled. AHCA invited Police representatives to our meeting on July 17 to discuss how to reduce the risk of such incidents in our neighborhood, to advise us on personal safety, and to explain the County's efforts to control gang activity. Please join us Saturday, July 14, at Pike Park (in front of Eckerd Drug) for the Columbia Pike Arts Fair (2 pm) and Jazz Festival (7:30 pm) with The Nicki Gonzalez Band. At 2nd Street and South Glebe Road, Arlington County finished installing a new, long-awaited stoplight on June 8. On Highland Street, just north of 2nd Street, the County installed a new streetlight on June 18. AHCA requested both lights. On 6th Street, sewer-line work should be done by the mid-July, according to Carlos Contreras, construction manager for Arlington County. Mr. Contreras frequently updates AHCA on the contractors' progress and keeps neighbors informed throughout each stage. The County plans to repave 6th Street in August, once the excavation is compete. County project manager is Mark Kelani. On 7th Street, Fischel Construction dug up two sidewalk panels for access boxes to the buried fiber optic tube. We asked them to notify neighbors before future digs. Virginia Department of Transportation is currently re-paving Route 50 between Glebe Road and Washington Boulevard. At 6th Street and South Garfield, Arlington County Public Works and Traffic Engineering painted the controversial crosswalk after an inspection under the Safe Routes to Schools Program. See our web site for records of all written correspondence. Neighborhood Day -- A Success! And, finally, to my wonderful husband Jim who worked with me for many hours before, during and after the parade (and who let me drive his convertible)! That same day, neighbors volunteered their time at the Columbia Pike Blues Festival. Thanks to: David Davis, Carole Lieber, Kimberly Sumner, Jay Vennett, and Jay Wind. Great job, neighbors! Beginning Friday, June 8, Channel 31 airs coverage of the 2001 Arlington Neighborhood Day events. Watch for one of the best entries in the Neighborhood Day parade -- our own Arlington Heights float, cars, and neighbors! On Saturday, May 19, six households got together in the Arlington Heights Park at the corner of South Irving and South 9th Streets for a great yard sale. The event got off to a slow start, due to a much-needed rain. However, sales were brisk; great items were traded between neighbors; and new friends were made. Be on the lookout for another sale, possibly in October. 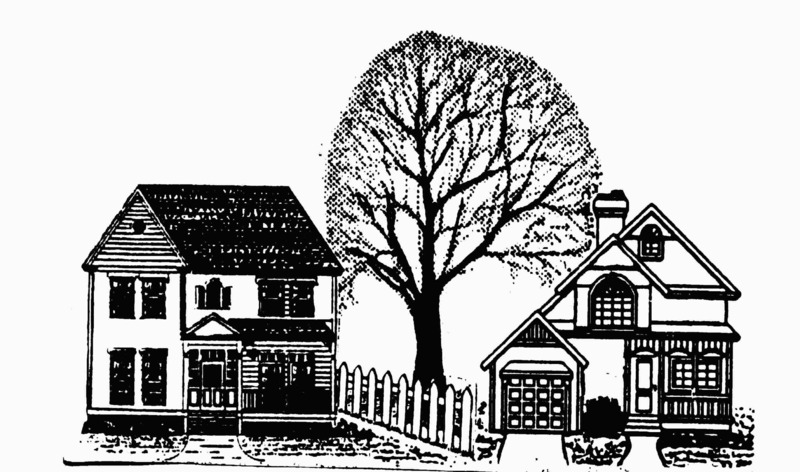 AHCA needs a Neighborhood Conservation Program representative to work with Jim Gill (703-685-1760, jgill@erols.com). Contact Karen Laake <klaake@qualcomm.com> or Kenneth Nagle <enneth.nagle@ey.com> to help to write the Small Parks Program grant application, due September 30, for a neighborhood park at Garfield and Route 50. The Arlington County Fair is August 16-19 at Thomas Jefferson Community Center. Again, this year, AHCA has a table at the Fair. We encourage as many neighbors as possible to spend an hour or two meeting fair-goers and telling them about the Arlington Heights neighborhood. To volunteer to represent our neighborhood, please contact Joan Gill (703-685-1760, jgill@erols.com). We currently have 58 individuals/families and two businesses who are paid members. This is well short of our goals for the year. Please consider joining AHCA! A membership form appears in this issue of Over the Fence. Send your $10 dues with your name and address to AHCA, c/o Bob Dannemiller, 215 South Ivy Street, Arlington VA 22204. For our September edition, e-mail articles by August 31 to Shannon Rudisill (jmg_slr@hotmail.com) or call 703-521-4957. At its June 14 meeting, Arlington's Neighborhood Conservation Advisory Committee (NCAC) voted to recommend to the County Board to fund our request for curbs, gutters, sidewalk, and Carlyle lights on South Highland Street between 2nd and 6th Streets. This project awaits County Board approval. Done: Sidewalk at the northwest corner of South Irving and 6th Streets. This summer, AHCA completes its revised NC plan. The revised draft plan is now on our web site. We review the draft at our meeting on July 17. To have an updated NC plan means additional points for our projects and improved likelihood for their approval. Please review the draft before our meeting so we can approve it on July 17. On Saturday, June 30, Arlington County Board deferred the naming of Pike Park. Board member Charles Monroe asked that a naming in honor of the late Lutrell Parker, be considered. AHCA discusses this name on July 17. Lutrell Parker was one of the names on the ballot last July 21. The name received only a couple of votes. The most popular name was Pike Park. In May, Freddie the Cat disappeared from Leslie Winik's house on South Ivy Street. Leslie used our e-mail list, door-to-door posters, and signpost trying to find Freddie. Eventually, after six days, he came home on his own, dirty and hungry, but sweet as ever. In June, a very affectionate and hungry, full-grown, tiger-striped cat followed another neighbor home on June 19. If it's your cat, or if you lose or find an animal, or in case of a dead animal, contact Arlington Animal Welfare League (703-931-9241). Every cat and dog should wear an identification collar. I think outdoor cats should also to wear bells on their collars to warn potential prey. Who should bell the cat? You should! I want our neighborhood to look beautiful all year long. We have some beautiful yards and gardens, but we also have some unsightly yards. Backyards count, too. Overgrown grass and weeds are Arlington County code violations, but more important, they're not neighborly. Please keep grass to less than one foot high. Our neighborhood's code inspector is Wilfredo Saavedra (703-228-3232). Other code violations include peeling paint, broken windows, falling eaves or shutters, and unlicensed or unregistered vehicles. For large trash pick-ups, call Arlington County Solid Waste(703-228-6570) any Thursday before 4 pm for a pickup on Friday. Every other Friday, the County brush truck picks up branches and brush. Brush pick-up is free, but you must call by the day before. For appliances like air conditioners or washing machines, County charges $30 for a special pick-up. The County appliance disposal truck picks up on the other Fridays. Please don't leave large wastes or other trash in front of your house before 5 pm on Thursdays. Wow! I am still marveling over the gardens shown on Arlington Heights Garden tour on Saturday, June 23. No doubt these gardens are among the prettiest spots in Arlington County! Lola and Mark Lombard - who shared with us their charming and cozy garden hide-away and told us stories about how they took a bare plot of ground and turned it into a place that says "Welcome Friends"
Josie Schwalm - whose lovely terraced garden and patio are filled with cool colors and shady trees that provide a true oasis on hot summer days. I wish that all Arlington Heights residents could have been with us to meet our gardeners and to see some of these beautiful places in our neighborhood. Make a note to join us for the 6th Annual Arlington Heights Garden Tour, coming the summer of 2002! Happy Gardening! Sales in Arlington Heights and Penrose to date this year have been consistent with Arlington County and local area real estate market. There is continued strong demand from buyers and an inadequate supply of homes for sale. The chart on the opposite page is a snapshot of activity in the neighborhood showing five homes for sale with an average price of $317,905, 3 homes pending settlement with an average price of $299,333, and 19 homes sold since 1/1/01 with and average sales price of $241,647. This data includes sales of detached homes, townhouses, and duplexes from the MRIS data base (Realtors MLS system). If you are curious about properties for sale in Virginia, Maryland, or DC, visit our website and go to "Instant Home Search," which links to the current active listings of every real estate company. Here is a true story to let you know that we can help anyone whom you refer to our team in need of professional real estate service. from California. She was here on a short house-hunting trip. After viewing a home at a Sunday Open House, she called us to represent her in acquiring this property. We met with Carol the next day to see her property of choice and to look at some other houses within her parameters just for comparison. She liked the one that she had seen the prior day the best, and we soon learned that two other contracts were being presented on this property. We had to act quickly so we referred her to one of our preferred lenders and she was pre-approved that day in our office over the phone. While there were three offers on the home, the owner favored Carol's offer if she agreed to put 20% down payment instead of 10%. Carol agreed and we lined up a home inspection. Within days, we were able to complete a home inspection, get the details of financing in place, and help her with the myriad details that are part of relocating. Besides being concerned with moving her household goods she also had two dogs and a horse. She was able to return to California to wrap up her job there, confident that we were tending to all the details of her transaction here. Her trip back to Virginia went smoothly, even though in addition to her household goods, she shipped her car and her horse! (Thanks to Karen for that referral). Since the home appraised at the sales price, we were able to get the lender to restructure the financing prior to settlement with just a 10% down payment for Carol. She now walks to work and her horse boards twelve miles from her home. Looking for straight-shooting product information when shopping for an appliance? ApplianceAdvisor.com offers appliance industry information online. There are plenty of links to consumer review sites such as Consumer Reports and epinions.com; appliance portals such as appliance.com; and home advice sites such as eHow and Appliance411. There are also links to the Web sites of dozens of appliance companies. Yet the best part of the site for consumers are the reviews of about three dozen Web sites that either provide online appliance shopping, reviews, or other information. On average, properties sold for 101.1 5% of listed price. © 2000 Metropolitan Regional Information Systems Inc. Information is believed to be accurate, but should not be relied upon without verification. [__] Enclosed is an additional donation of $________ Membership year is January to December.